Canada is considered as a land made for hiking. Filled with natural beauty and wondrous landscapes, it boasts few excellent hiking trails of the world. 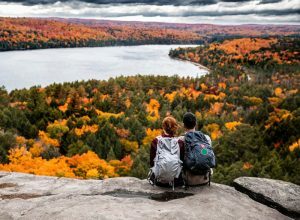 Talk of the Niagara biosphere or the Appalachian trail, the Eastern provinces’ coastal lands or the foothills and mountains of Alberta, there is a hiking trail setting for every type of hiker and adventure lover in the world. Hiking began in Canada probably during the early days when people of settlements had to move here and therefor accommodating seasonal changes. When Europeans settled in Canada, new hiking trails blossomed to cater to tourism and commerce. These voyagers had to hike and canoe from Quebec to the western coast to establish new trade routes. The trading post they established in the 1670s is the Hudson’s Bay Company that flourishes even today. Hiking trails exist today both in small towns and big cities. Canada is making two coast-to-coast hiking trails – Trans-Canada Trail and Canadian National Hiking Trail. Canadian National Hiking Trail used to be known as Sentier National Trail. The Canadian National Hiking Trail is planned to promote hiking and backpacking activities in Canada whereas, the Trans-Canada Trail will be for many activities besides hiking such as snowmobiling, cross-country skiing, and horseback riding. Over 3,000 km of the 10,000 km long Canadian National Hiking Trail is already completed in Southern Ontario and Quebec. The second part of this trial is scheduled to go through Northern Alberta from Calgary. It will go via Yukon Territories. Among the other hiking trails, the Appalachian trail is much sought after as it extends 1045 km in lovely natural terrain with mountains and flowing streams. It extends from Maine, Mt. Katahdin to Gaspe Peninsula. The other big attraction is Ontario’s Bruce Trail. This stretches 770 km right across the Niagara Escarpment. This is a UNESCO World Biosphere Reserve. 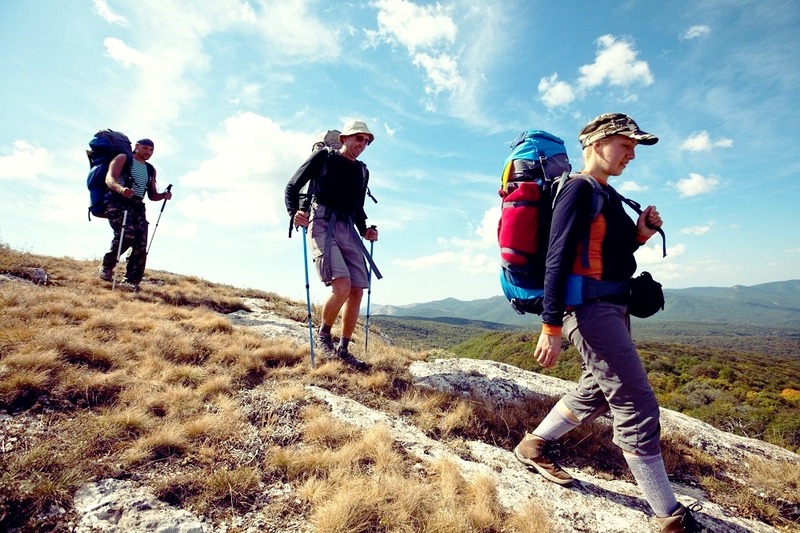 When involved in Canadian hiking, it is recommended that one use high-quality hiking equipment. This will make your trip safer and enjoyable. Good quality, waterproof hiking boots is the first essentiality. It should have good ankle support and grip. High-quality backpack includes food and water, extra clothing, waterproof matches, rain gear, toilet paper, knife, sunscreen, insect repellent, flashlight, and blanket. Area map and a compass. Canadian hiking events occur at particular times of the year. For instance, in late August we have the Festival de la Marche in Quebec. Check with your tour organizers for more details.